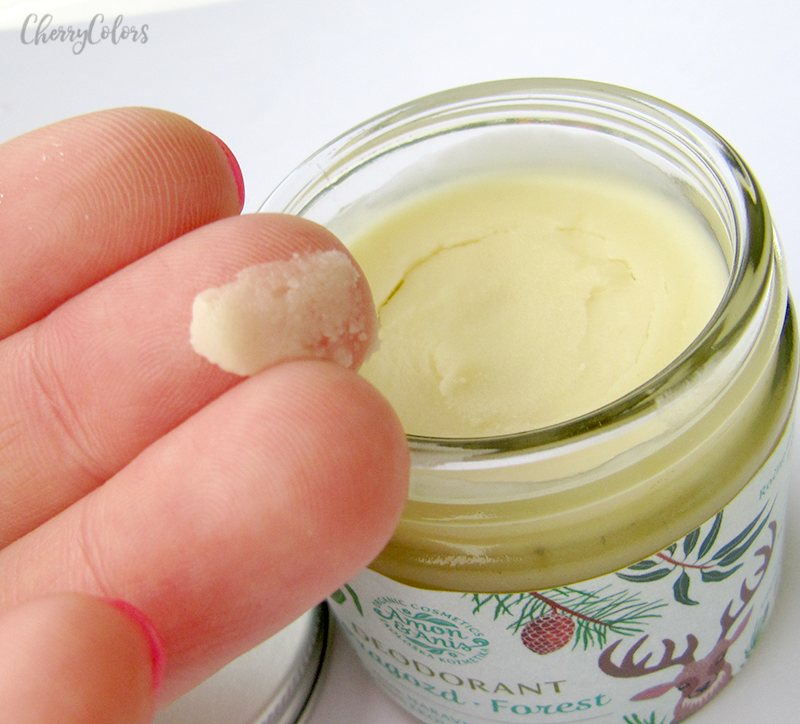 Amon & Anis - Forest Deodorant - Cherry Colors - Cosmetics Heaven! Today I want to talk about a brand that I think needs some recognition. It's a natural brand made with organic ingredients and I really like their designs on the products. It's also a bonus that it's a Slovenian brand. I am talking about Amon & Anis. I first met with this brand in a natural store in the town that I live in. I was searching for a more natural deodorant because classic deodorants clog my pores. The SA showed me a couple of choices and this was in there too. I loved the design on the glass jars so I decided to pay the 8€ or so for it and give it a go. 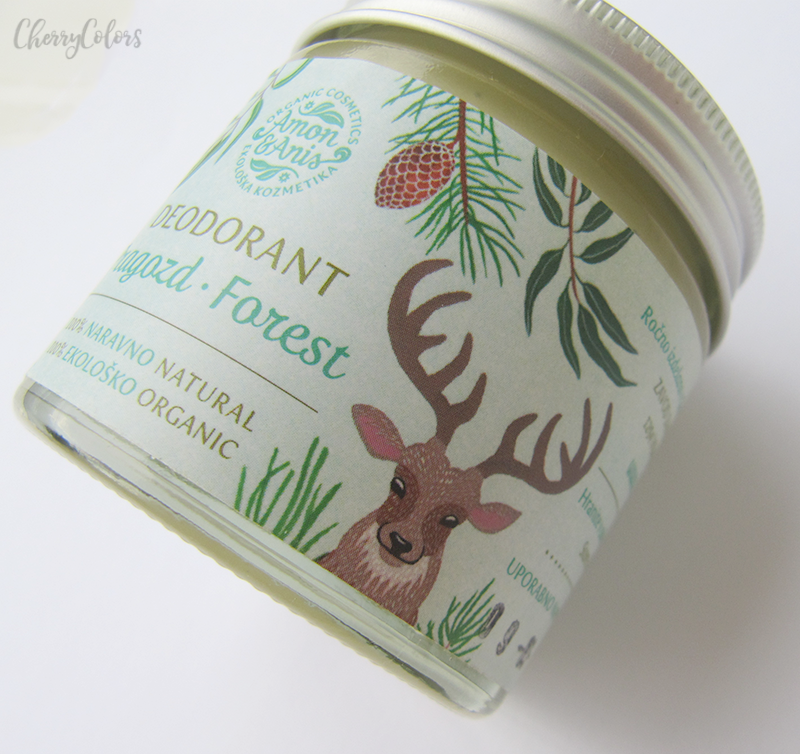 Organic Forest deodorant is handmade from natural and organic ingredients. 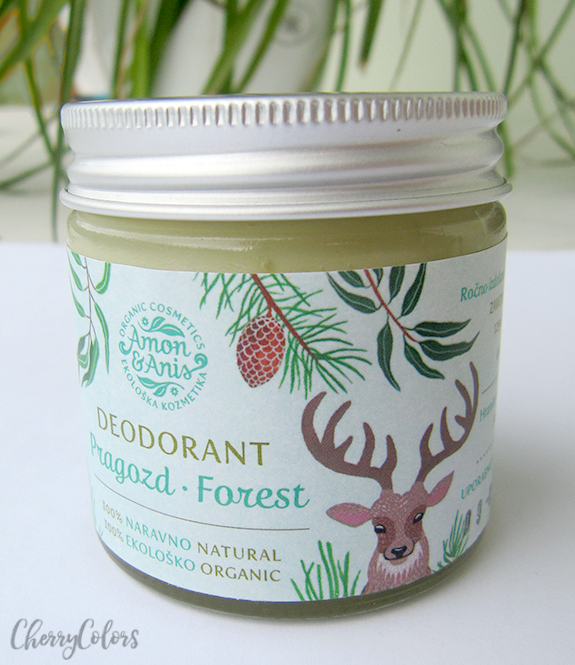 The natural deodorant is very efficient, without containing parabens, aluminum and other chemicals. It prevents bad odor, but does not stop the elimination of sweat from the pores of the skin, additionally nourishing the skin. Essential oils of pine and eucalyptus give a pleasant forest aroma. This compact deodorant is applied on the skin in the same way as cream. Certified by IKC UM. Not tested on animals. The deodorant has a lovely fresh scent and that's a scent that I like on myself. 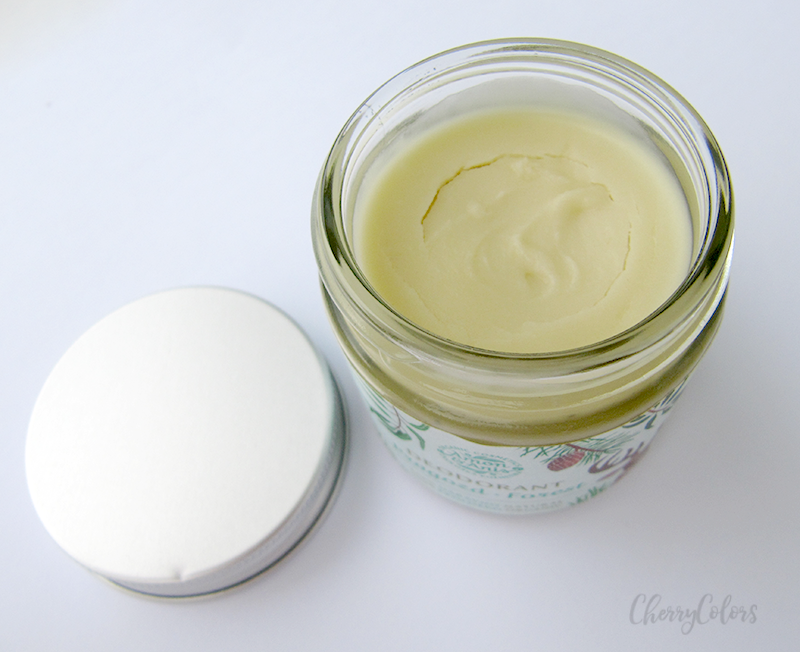 As most other soda-based deodorants this one is also a thick paste that needs to be spread on your skin, usually with your fingers as the body's warmth helps to spread it more easily. Once it's on, you're good to go. Maybe you can wait a couple of minutes, but it doesn't really transfer on clothes unless you're sweating really badly. I enjoyed wearing it and I loved that it was made with nature in mind. That's a concept I try to keep in mind while buying things, but I am not always successful. The bad smell stayed away for a whole day even during the hottest days and in the evening it was easy to remove with a bit of warm water and soap. But sadly, I forgot one thing. I react badly to soda based stuff. I even reacted to Nelipot's deodorant! After a couple of weeks, I had a terrible rash on my armpits. It was painful, it was actually a chemical burn due to the soda in the product. It took a whole month to go away. I was sad, but I let the owners know about it because maybe I wasn't the only one with such a problem. Well, they tweaked their formula and sent me some samples. I tested them and if I remember correctly, it was fine with most of them - especially the weaker formulas. I was happy with their response. 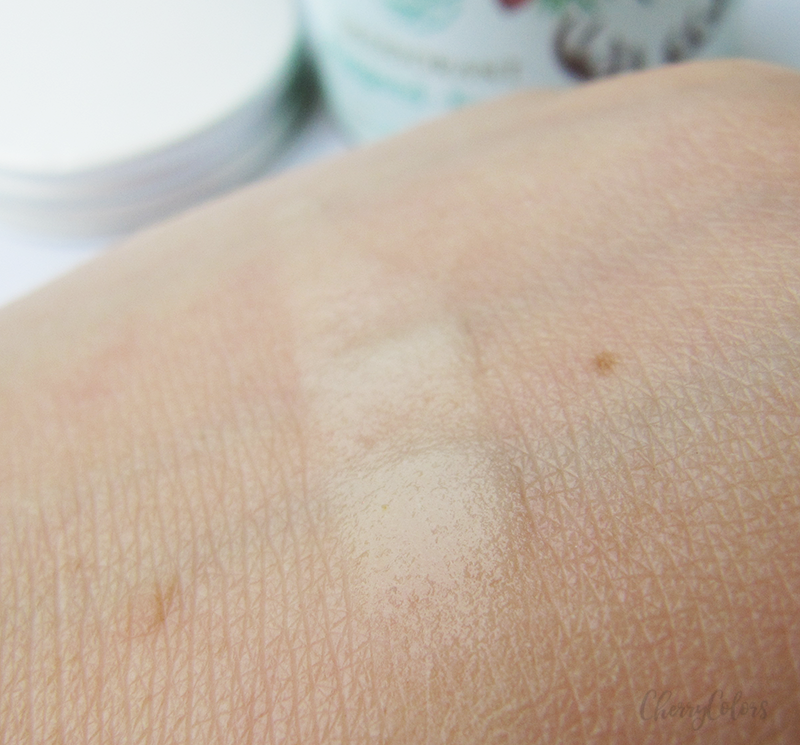 I also got to test a couple of products from their line (a rose cream and a sunscreen) that I enjoyed. I may talk about those in another post. You can find more about the brand here - Amon & Anis. Did you try a soda-based deodorant? How did it go? Let me know in the comments below!